The Cherokee Nation Cultural Tourism program is set to launch the 2011 season, which runs from March through October and features its four historically authentic cultural tours and a wide array of cultural events. 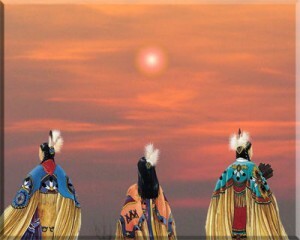 The Cherokee Nation Cultural Tourism program will be presenting its four award-winning tours throughout the 2011 season including the Cherokee History Tour, Will Rogers History Tour, Civil War History Tour and Cherokee Old Settler Tour featuring authentic cultural sites and historic locations. Please be aware that the 2011 four cultural tours pricing is tiered and subject to a tribal tax that includes adults, seniors, and children ages 4-11 and 3 and younger.